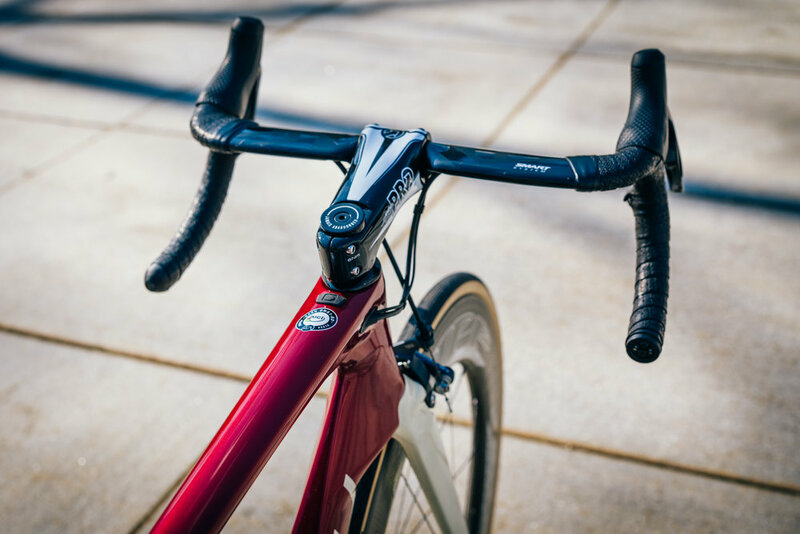 Last week we introduced the first of our 2018 team bikes to be built up. 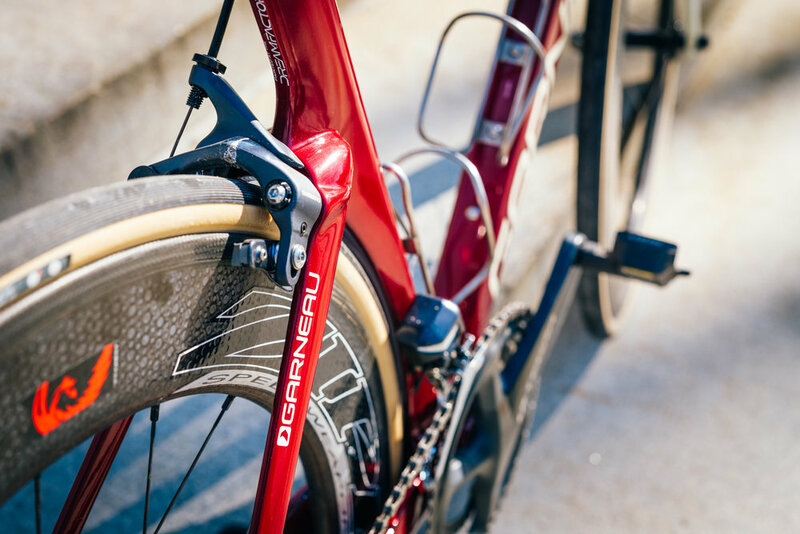 This week we're proud to introduce our second paint scheme from the Garneau Dream Factory. 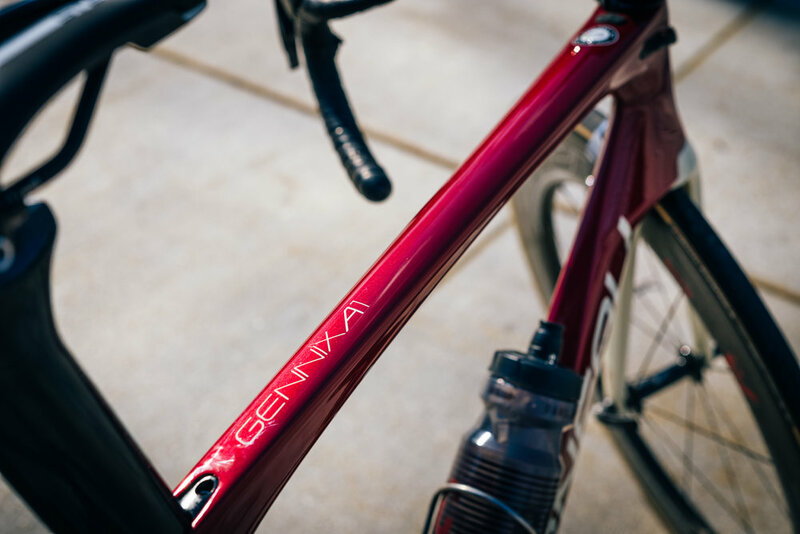 While the colorway is technically a maroon and cream combination derived directly from our Garneau team kit within the team this color scheme has a more informal nickname: the Blood Bike. 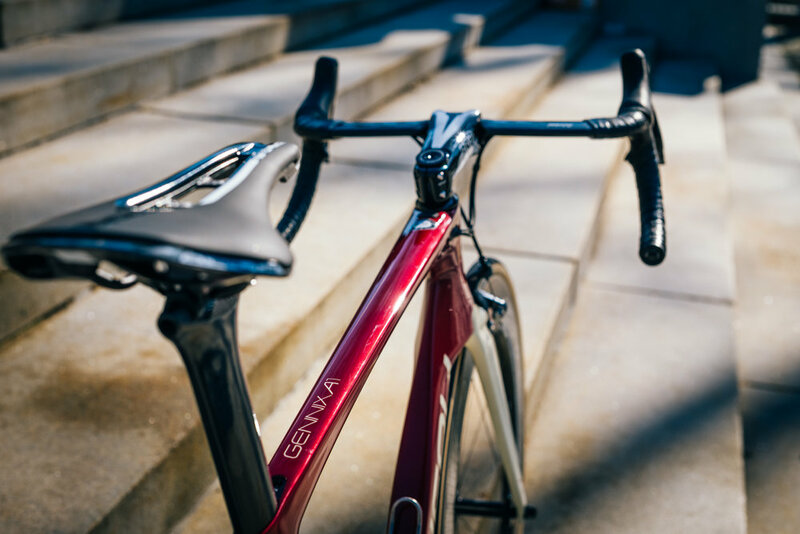 Whatever name it goes by, the high gloss paint with just the right amount of flake makes this bike absolutely shine in sunlight. 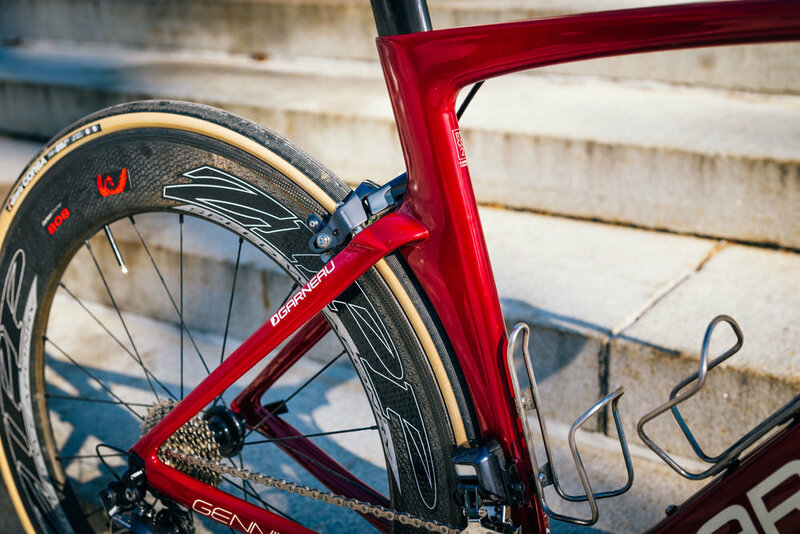 Having seen the samples of this paint from Garneau, and knowing that the shaping of the A1 is a design feature unto itself, we wanted as simple a paint design as possible to let the underlying ingredients stand out. 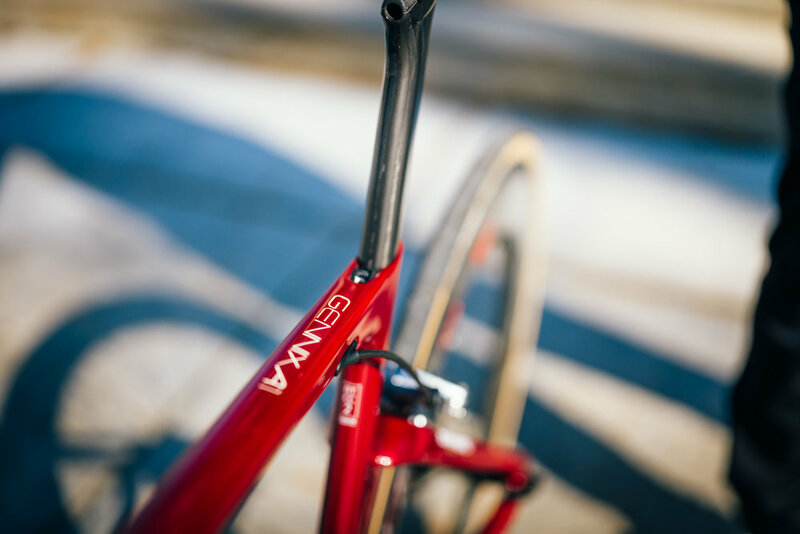 The contrast fork is likely a result of watching 'cross races while designing the bike – MVDP's classic/throwback red-and-white Stevens certainly had an impact on our design choices. 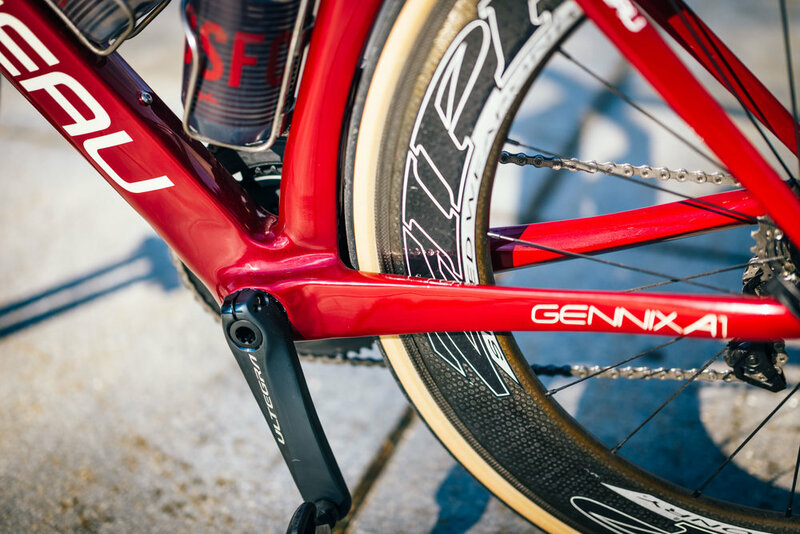 Paired with a set of race wheels, the Blood Bike it is just as fast on the road as it looks, and the build (largely sourced from amazing spare parts sitting in teammates' closets) was created with one race in mind: ten days of crits in Chicago at Intelligentsia. Can't wait.